Equipment settings can make a big difference in comfort. Seasonal changes will likely impact the way you use certain items in your Maryland home. Making smart choices regarding equipment settings can improve your comfort and save you money this fall. 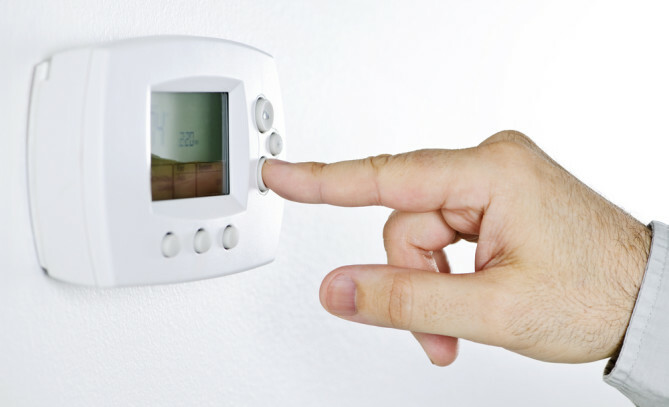 As the cold weather season begins to hit, it is important to adjust your thermostat accordingly. The settings that were energy efficient in summer, might not be applicable to fall and winter. As schedules and indoor temperature needs change, you will need to make the necessary adjustments to your thermostat’s settings. During the transition period, there are times you might not need air conditioning at all. When you do use the system, you will still need to remember to observe recommended energy efficient settings for when you are away, asleep, at home, and awake. Ceiling fans help circulate air and increase home comfort in all seasons, but they should rotate differently depending on the weather. Set your ceiling fan to rotate clockwise in fall and winter to circulate warm air around the room. This setting pulls air up in the center of the room, then pushes the warm air hovering near the ceiling around to the edges and down again. By using the ceiling fan, you can keep the thermostat at lower temperatures so you can reduce your heating system’s energy consumption. Chilly winter mornings may tempt you to adjust the settings on your water heater, but there is a fairly small range that acceptable for safety reasons. Anything below 120 puts you at risk for Legionella bacteria, so you don’t want to dip into this dangerous range. If you go above 130, you will experience more sediment buildup and waste energy heating water to a temperature that would result in serious burns.